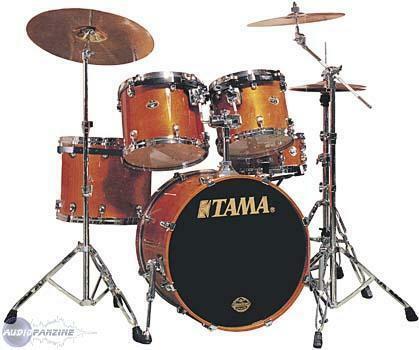 Starclassic Performer, Drum Set from Tama in the Starclassic Performer series. dj.Anonym67's review (This content has been automatically translated from French)" 2 the ball!" Knowing what you know now, would you make the same choice? Hard to judge ... I had ais at an unbeatable price and drum I'm a novice, but I love this drumkit! Since 2005. First Live, and in the studio. At the time, I was able to benefit from the latest models of the former Starclassic series. cymbals ... a single factor can not be assumed by default. Tama and this is really well knew its place. favorite musical, I found myself in front of each of these two models. the bass drum (depth 17 ") for being too quiet. 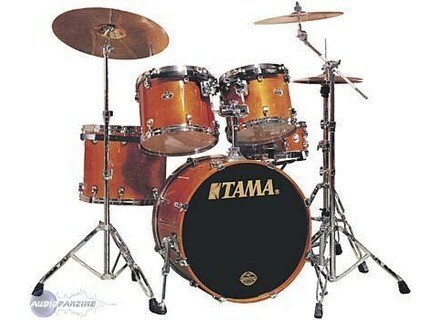 When I turn my head, I saw the Tama, and I also decided to try it. their credentials in the testing of Tama. For this price level, it was bound to expect something prestigious. Not to worry, you really pay for, both in the "mouth"
Without any hesitation, and I can still boast a small jewelry that no longer exists as it is today. I use a TAMA Starclassic Performer White Silk (reflects white silk, like the Ludwig Black Oyster, but dégardé White) 22x18 14x11 12x9 and 10X8 snare that goes with it (which I never use). I have this drumkit since November 2005.Je think she is beautiful and the DURACOVER (Rodhoïde kind of the same density as wood and glued a layer of wood on the surface) is very well finished. I like the sound, but changing the skins several times (G1 G2, Remo Ambassador sand) I have not found the sound that I liked. This drumkit should appeal to fans of his contol ... it's not my case! I love maple warmer and richer in harmonics. So I continued to play my MAPEX Mpro bought in Guadeloupe in 2001, and that comes from Canada, a pattern never seen in France, because it is different ... it looks like a Saturn, however the wood is the érable100%. It sounds a thousand times better than my Starclassic. And it's not worth me that the Starclassic Maple sounds better because I have played one for 2 years ... it's not better! That's good, but not better! However, my Starclassic provides wholesale rock and studio ... basta! The price is right, if we compare with another brand. However, I advise you to buy a YAMAHA RECORDING CUSTOM Used for toms and a maple bass drum ... YAMAHA MAPLE CUSTOM loved you ... you can play everything! So I am looking to sell this drumkit! The snares that are j'utilses LUDWIG Black Beauty (black anodized copper) and LM 400 chromed aluminum. MAPEX for my jazz sounds great brushes. Besides, if you bought a new drumkit, have a look on the side of Saturn type MAPEX PRO (maple / walnut) is really a good rocker and more versatile. If you like rock sounds worked well, go for a walk in www.drummerworld.com / videos / gavinharrisonfutile.html. I call it a drumkit ... a maple ... SONOR Designer course.